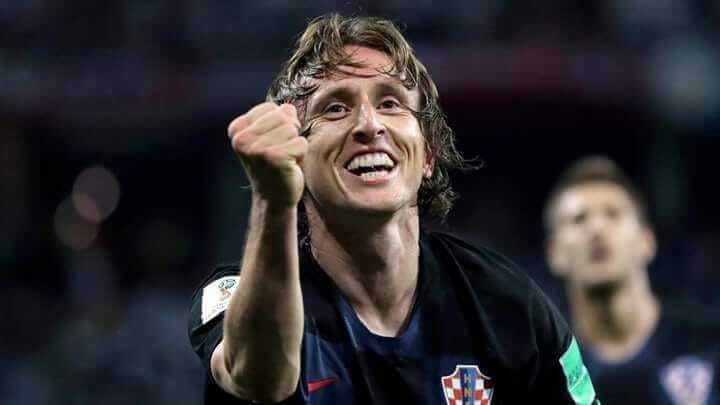 Croatia and Real Madrid midfielder Luka Modric has been crowned as the Best Male player at the FIFA Football awards in London. Modric pipped his former teammate Cristiano Ronaldo and Liverpool's Mohamed Salah. Modric,33, helped his club Real Madrid win their third successive Champions League 2018 earlier this year and also was instrumental in guiding his national side Croatia to the finals of FIFA World Cup 2018. The Croatian's win ended the dominance of Cristiano Ronaldo and Lionel Messi who shared this top honour for over the past decade. the pair is widely regarded as the greatest of all time. The midfielder was accompanied by his wife and his two children at the awards ceremony. Modric made a total of 56 appearances for both his club and country. Although he was instrumental in beating England in the semi-final, this did not stop their Manager Gareth Southgate voted for him. 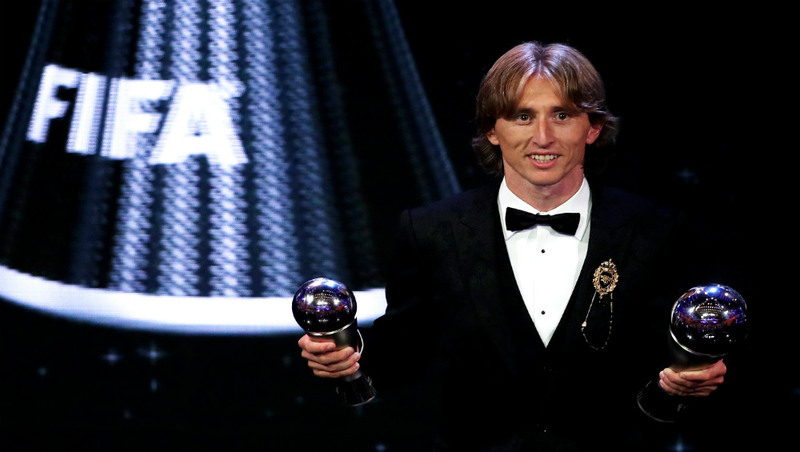 Speaking before the ceremony, Modric admitted that this season was his best ever. He also won the Golden Ball award, the prize best player in the World Cup receives. His National Team manager, Zlatko Dalic paid tribute to his talisman after the result was announced, saying the midfielder is like "my assistant in the field". He also said that his player deserved this award. FIFA Best Football Awards 2018: Real Madrid's Luka Modric Beat Cristiano Ronaldo and Mohamed Salah, Clinch world's Best Male Player. Speaking after the ceremony, Modric thanked all his fellow teammates and coaches he has worked with in his career. He also did not forget to mention the immense contribution his family has had on his career. Modric, whose family have been refugees of the war was a son of a shepherd who only concentrated on playing football with wooden shinpads. He, however, does not want to remember the struggles he and his family has had throughout his childhood, instead only want to remember his playing days and his hard work. Cristiano Ronaldo Congratulated Luka Modric After he Won the UEFA Player of the Year Award 2018. There were other honours too which were declared at the awards. France World Cup-winning coach Didier Deschamps - whose side beat Modric's Croatia 4-2 in the World Cup final - was named best men's coach of the year. Liverpool's Mohamed Salah won the Puskas award awarded for the best goal for his effort against Everton in the Premier League. Belgian goalkeeper Thibaut Courtois was named as the best goalkeeper of the year. Inspite of getting these honours, both Salah and Courtois were not included in FIFPRO World XI.